Disclosure: I received free product in order to facilitate this review. I did not receive any monetary or other type of compensation. This review does contain one or more affiliate links for which I may receive compensation should you make a purchase. A full disclosure can be found at the end of this review. I'm pretty sure every parent can relate to this: that moment when you realize your home suddenly feels very small when preparing for a baby. All it takes is purchasing the essentials to realize the smallest, cutest little being in your household has somehow taken over your home, even before they've been born. Cribs, playpens, baby swings, activity centers, and toys are no joke. Each takes up a considerable amount of space. Then they're born, and you realize there's a whole lot of little things that you didn't think you needed but realize you need ASAP. A sacrifice well worth it when they actually make life with a baby easier. "When" being the keyword there. Our house has a very awkward rectangular space, with all of it utilized very poorly. Were I to have the type of money it would take to tear down the interior and do it all from scratch, I'd design it very differently. 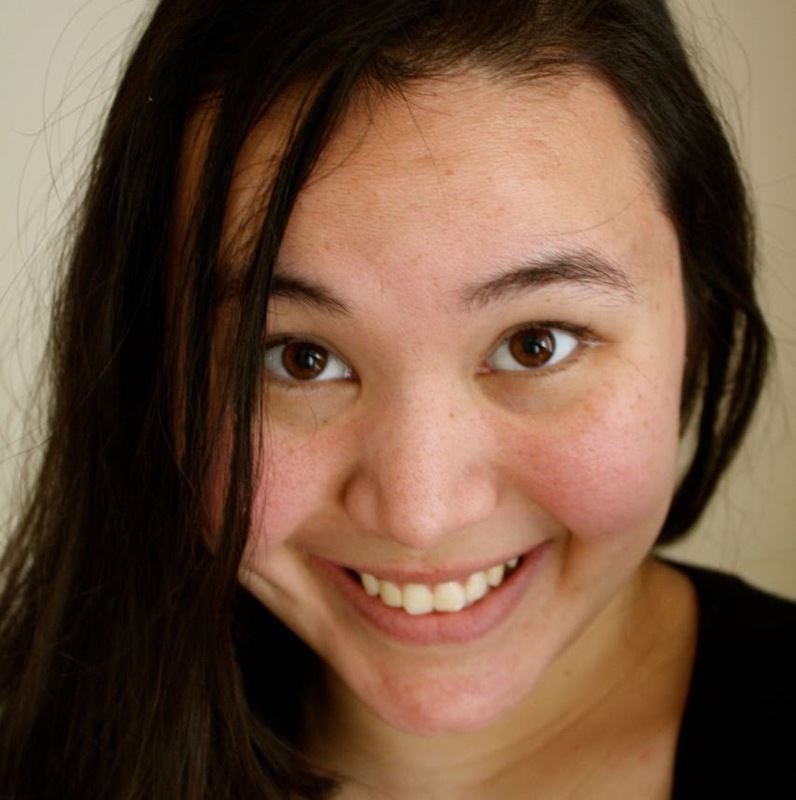 There's a lot of dead space in our home that we just can't do anything with, which means the areas we can use have a bunch of things all crammed into a small area. Far from ideal. I found that the list for general baby essentials was pretty accurate. With the exception of one or two things, we found ourselves using the types of products generally recommended for a nursery or for a child in general. A lot of those things got use daily. I assumed that a high chair would be another one of these things. But, I was wrong. We were fortunate enough to snag a Mamas & Papas high chair second hand... but the luck ended there. This monstrosity of a high chair was like getting a Hummer instead of a Smart Car. It was huge. The amount of space it took up was a great square footage than that of my computer desk. I'm not even being dramatic here. Didn't take long before something else wrong with the whole picture reared it's ugly head. Baby E simply didn't like sitting in the high chair. I can only assume it had something to do with how high off the ground it was. And, of course, the legs weren't at all adjustable. Naturally, this meant that I'd try to convince Baby E to like it, and even then the amount of time he spent sitting on it was negligible. In fact, he spent more time trying to climb it than he did sitting in it. So of course, I eventually gave up. Which meant that the high chair sat there, undisturbed and mocking me. Mocking how important it was and how spacious its cozy little parking space in my living room was, specifically. After months of having it collect dust in my living room, we found it a new home with a family who had actual use for it. Goodness, was that a good day. I'm happy to boast that my computer desk now occupies the space that used to be reserved for that high chair. With the high chair gone, we had to figure out a system that did work for us. While Baby E was perfectly happy to enjoy all of his meals right alongside us on the couch, I was less impressed. Small bits of food and crumbs were squished into the fabric of the couch after every meal and snack. Yuck! Letting him eat on the floor was certainly not a realistic option, since Baby E seemed to be convinced the entire floor was a plate to feast on. Lucky for us, we received the opportunity to try out the new Summer Infant Bentwood Booster Seat. The Bentwood series by Summer Infant brings you a line of elegant, modern baby essentials for your household. 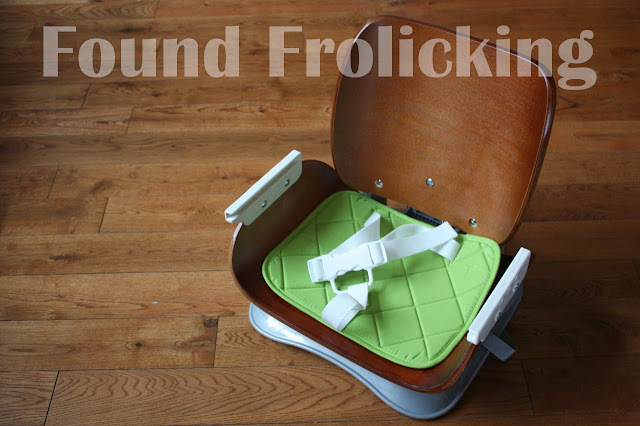 This gorgeous booster seat is surprisingly lightweight, perfect for moving around the house as needed---effortlessly. Was very happy to open the box and discover that it is very quick and easy to put together, there weren't many parts and both assembly and installation were very straight forward. It took me about 10 minutes to put together by myself. 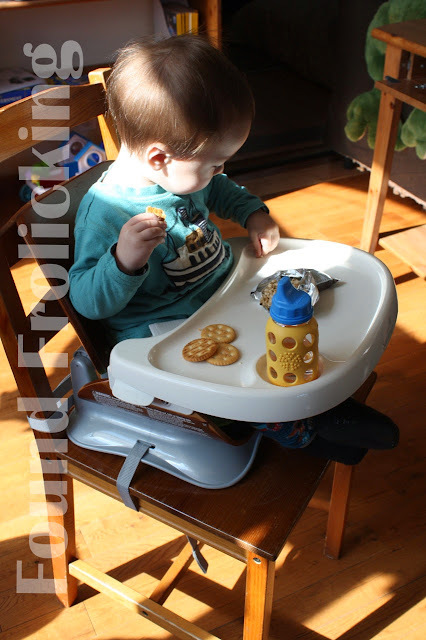 We've been using this booster seat daily for weeks, and love it! Pros: #1. 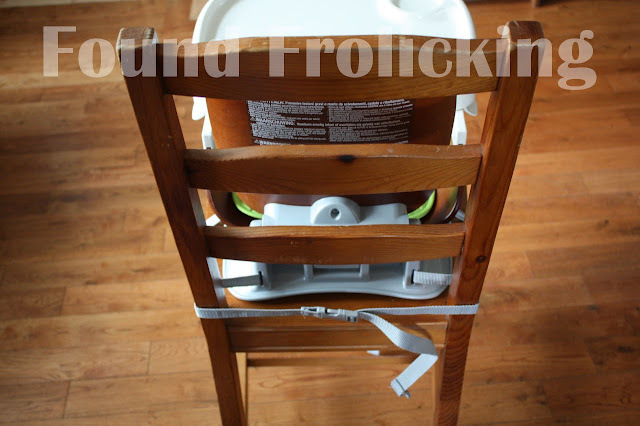 Two straps are all that's needed to quickly attach the booster seat to any chair. #2. 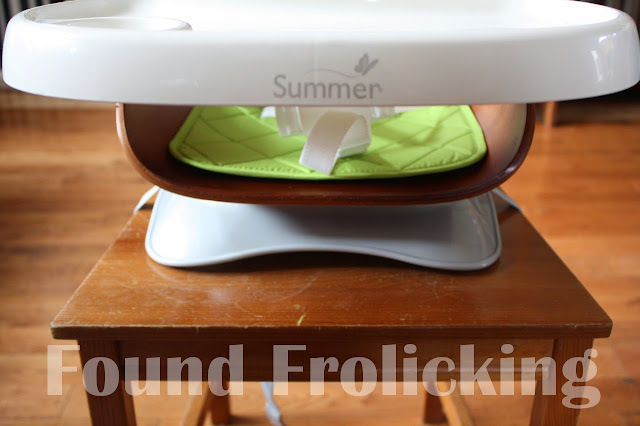 The tray has three slots to adjust it as needed for the size of your infant or toddler. #3. Tray is easy to remove and easy to clean, with no funny crevices that collect food or bacteria. #4. The back of the seat has two different settings for a more upright position or a more reclined option. #5. Assembly is quick and easy with very few small parts. #6. 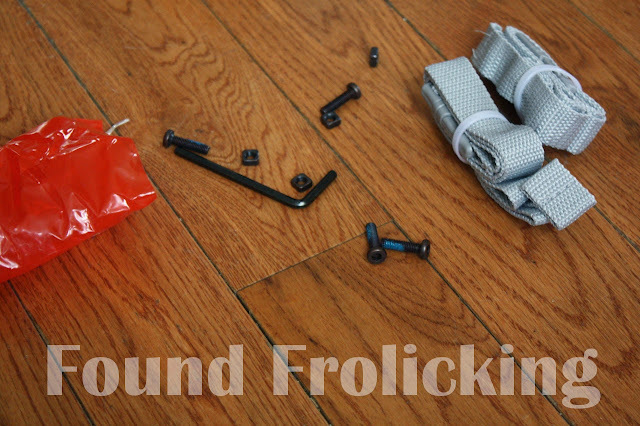 No sharp edges or corners to any component for a little one to injure themselves with. #7. Compact size makes it easy to move around and store when not in use. Cons: #1. Buckles seem a bit brittle. #2. The middle piece for the seat buckle where you snap in each buckle is not adjustable, leaving a lot of wiggle room for smaller or very young toddlers. I do hope that in the future they consider changing the buckles to something a bit sturdier, I think it would be worth even a $10 increase in the price of the unit. Overall it is a fantastic product, and very budget-friendly at only $54.99! It has a more sleek and modern look than any other booster seat on the market, making it a steal at that price. 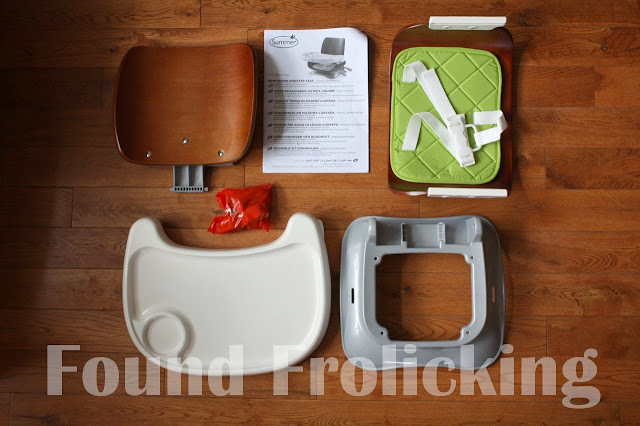 I would definitely recommend it to anyone looking for a beautiful and affordable booster seat. 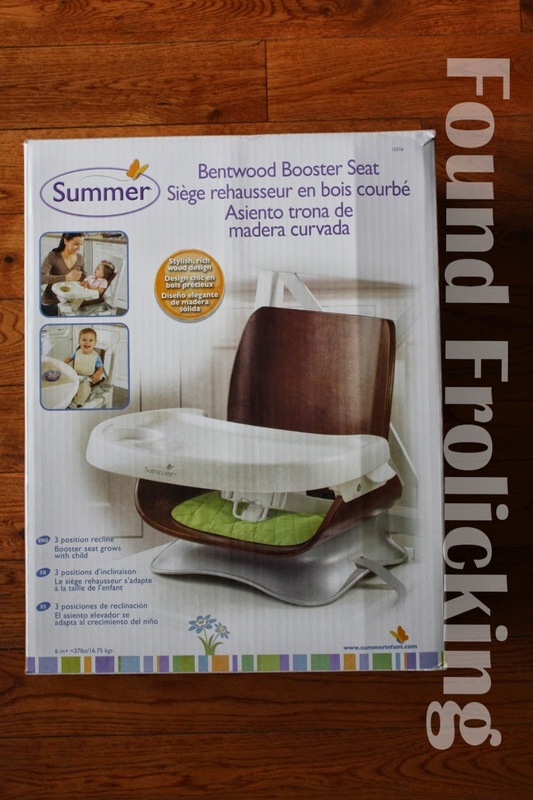 Head on over to the Summer Infant website to purchase the Bentwood Booster Seat today! 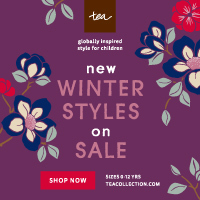 More information about Summer Infant and all of their fantastic products can be found on their website. The Summer Infant Bentwood Booster Seat can also be purchased on Amazon.com. You can also find Summer Infant on their Facebook page, follow them on Twitter, check out their Pinterest boards, follow them on Instagram, and find great videos on the Summer Infant YouTube channel. The Summer Infant Bentwood Booster Seat as you find it in stores. All the pieces to the Summer Infant Bentwood Booster Seat right out of the box. A close look at the the smallest pieces required for assembly, I am happy to say there are very few! 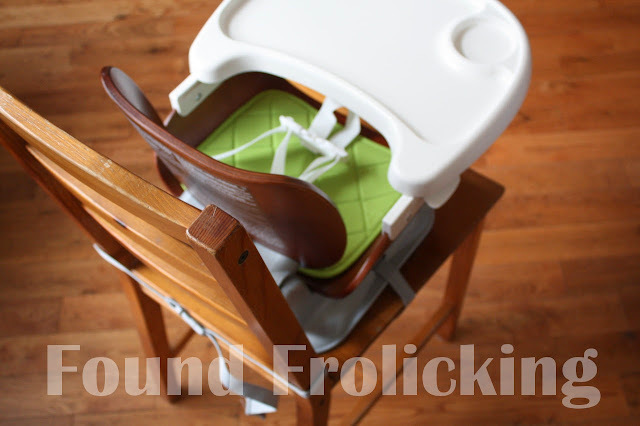 Fully assembled in 10 minutes, the Summer Infant Bentwood Booster Seat is ready to go. The Summer Infant Bentwood Booster Seat installed onto a wooden dining chair. Lots of leg space allowing your little one to get use out of the Summer Infant booster seat for as long as possible! 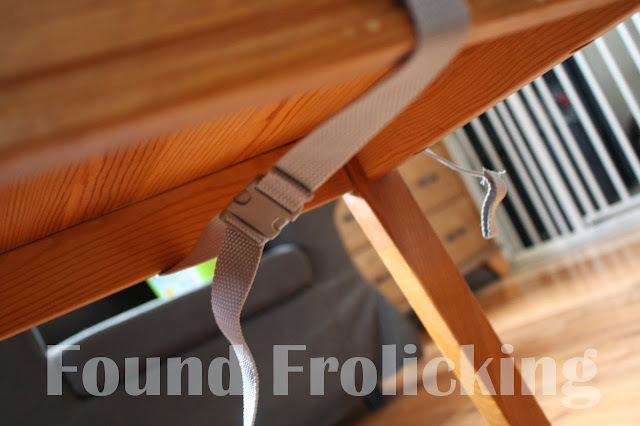 Showing the second buckle fastened under the chair, keeping the Bentwood Booster Seat firmly in place. Baby E enjoying snack time in his Summer Infant Bentwood Booster Seat! This is a beautiful booster! And you hit the nail on the head.. So much STUFF comes with babies, my house isn't mine. It's my kids'! Lol! What a very attractive looking throne for your little prince. I love the wood back on the seat. That's a good looking booster! It actually looks like a very nice and sturdy booster. I have a friend who's actually looking for something like this. I'll have to pass this on to her. We had something similar to this, but it was not as easy as this looks.. This seat looks really great! We just upgraded to a booster seat this past week, too! I too use a booster chair for my daughter, and I find that it is more effective and more flexible that the standard high chairs. Loving this booster. I have been checking into them for my niece. I love the picture and details. Going to be looking into purchasing from this company. Great review! I could use a new booster seat for our little princess. That looks nice and sturdy! This looks perfect for my son. We could definitely fit this in our trunk for traveling purposes. I feel sleepy while studying so I have my ergonomic kneeling chairs to keep me awake,comfortable and concentrated to studies. If you feel sleepy while studies,you too can try this.